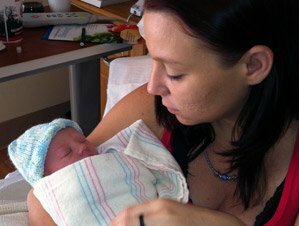 Giving my baby up for adoption – Where to start? At Adoption & Family Support Center, our goal is to make the process of placing your baby for adoption a positive experience for everyone involved. Experiencing an unplanned pregnancy and looking for parents to adopt your baby can be overwhelming. We can help ease the stress by providing you with choices and assistance. We’re here to listen when you really need to talk with someone. Call or text Angela anytime of day or night at 386-852-9098. After your first call/text, you will have a personal Adoption Advocate and friend to walk you through your options with no pressure to choose adoption for your newborn. We want you to feel confident that you have made the best decision for you and your family. You may be wondering, “how involved do I get to be in the process of looking for parents to adopt my baby?” The answer is VERY. Private adoption is much more personal than other options you may have heard of allowing you to be a part of the process. 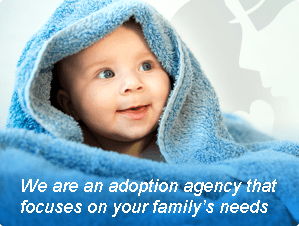 You get to essentially design your own private adoption to suit your personal wishes for your baby. Not only do you get to choose the adoptive parents, but it is also your decision when placing your baby for adoption to have it be open or closed. We will help coordinate hospital visits between you and your chosen adoptive parents, so that they will be a part of the adopted newborn’s life before he or she even arrives. In addition to transportation to and from your doctor appointments, our caring and supportive staff will provide assistance with Medicaid, Food Stamps and WIC qualifications, and even living expenses. We genuinely care about the women who come to us seeking help, who are struggling with the question “should I allow another family to adopt my baby?” We encourage you to take part in our birth parent support group. It is a safe space for you to share your experience of giving your baby up for adoption and hear the stories of others who may offer some comfort during this emotional time. We will be there to help you during the pregnancy, birth and for as long as you want after the adoption. Adoption & Family Support Center is here to help you find answers to very important questions such as “is giving my baby up for adoption the best choice for my family?” and “who will adopt my baby?” Picking adoptive parents for your baby is a very important decision. You will be able to choose from approved families who share your dreams and desires for your child’s future. We know the decision to place your baby for adoption is very hard, and that’s why we want to make sure you have as much information, help and time as you need to decide on a family to adopt your baby. Even if you are not ready to make a decision at this time, reaching out to Angela may make you feel a lot better. Give her a call and she will be glad to listen.